Samsung’s Gear 2 line of smartwatches was unveiled at MWC last month running on Tizen OS and providing calling, messaging and notification capabilities from a paired Galaxy smartphone. A rumored next generation of the Gear 2 will supposedly do away with the pairing requirement, and be able to provide calling capabilities through an integrated SIM slot. 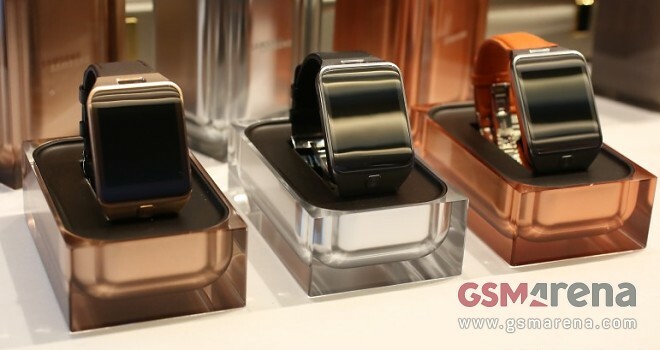 Korean media outlets are reporting of a partnership between Samsung and Korean carrier SK Telecom to release a new standalone variant of the Samsung Gear 2. Industry sources claim that a telephony-capable smartwatch would be feasible, although the additional power requirements needed by having the phone parts built inside the watch would need to be taken into consideration. Initially, the device will be centered on the Korean market, but it could be released to global markets as well. The current generation of Gear devices, unveiled by Samsung at MWC last month, are expected to hit retail globally in as little as a month.